Out of stock. More coming soon! 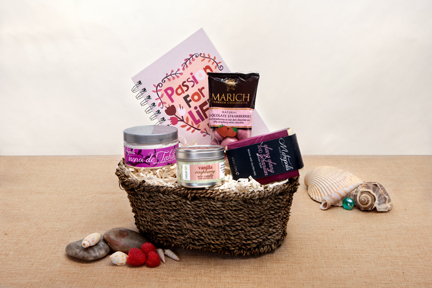 A bright, happy burst of fuchsia enlivens this organic gift basket, filled with healthy, handmade, vegan skin care products, a soy candle and a recycled paper journal.… the perfect way to record your thoughts, dreams and inspirations that reaffirm a healthy positive lifestyle! And this eco-friendly green gift experience might just spark your next burst of artistic inspiration!